The current generation of smartphones is often called the Swiss Army Knife of community media – a stills camera, video camera and editing suite, audio recorder and mixer, keyboard, web portal and social media dashboard all in one package, depending on what apps the user has installed. Of course, none of these functions can replace a high end DSLR camera, still less a recording studio and a newcomer to these apps and this kit is no substitute for an experienced photographer or sound engineer. 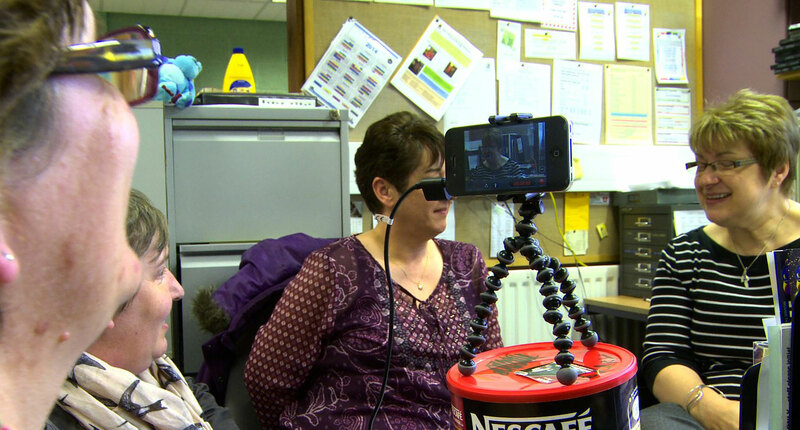 However, community media is often about getting the very best results from budget-level equipment – and for many community activists and voluntary organisations, that will mean using what you have in your pocket: your phone. This evening’s workshop is a quickfire, hands-on introduction to how to get the best from your smartphone for short on-line video making: a rough guide to framing shots, capturing good audio and editing. If you are planning to be part of the #Citizen2014 community newsgathering project, we hope the workshop will be a useful introduction to on-line video and a chance to meet others in the #Citizen2014 crew. Coffee tin tripods are optional, but we will point participants to some of the on-line guides and resources which will help build and refine your skills. We are at Beyond The Finish Line on Trongate. The workshop starts at 6.00pm. As hundreds of media workers from around the world converge on Glasgow ahead of the start this week of the 2014 Commonwealth Games, many will want to make sure their reporting reflects at least some of the real character of the host city and its communities, not just the sport extravaganza. So I am thrilled to be part of a pop-up community journalism initiative in the city centre which opens its digital doors just as the Games’ opening ceremony starts. 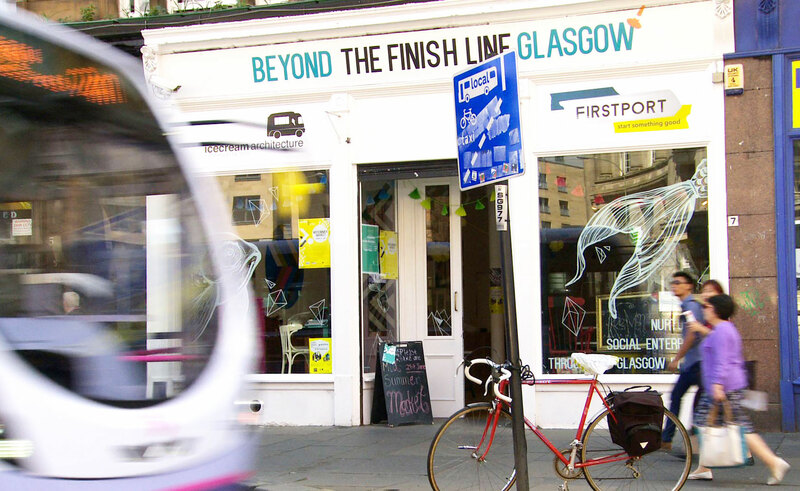 The community media newsroom for #Citizen2014 is based at the social enterprise “incubation unit”, Beyond The Finish Line, in Glasgow’s Trongate. #Citizen2014 itself will run for the duration of the Games, with reporters covering a range of stories from the fringes of the Games themselves but also from some of the communities and individuals around the city whose voices are seldom heard in the mainstream media. The project is a partnership between Media Trust, the Digital Commonwealth, the social enterprise SomewhereTo_, which seeks to re-function derelict buildings and urban spaces for use by young people, Mind Waves and Beyond The Finish Line. #Citizen2014 will run a programme of daily reporting based around themes ranging from culture, regeneration and resilience to legacy and the idea of the Common Weal. We also expect to run a series of workshops and media surgeries, depending on the needs and skills of the reporters taking part. Says Jennifer Jones of Digital Commonwealth: “We want to support people to report and alternative, community-focussed view of what’s happening in our city during the Games. “We know there’s loads going on and people have a lot to say about it. Reports, images and video will be posted on http://www.citizen2014.net throughout the three weeks of the Games. You can follow the project on Twitter @Citizen2014.